KinderLab Robotics is committed to making 15 years of research into child learning available to every young child. As hundreds of educators, teachers and parents have found out, KIBO does just that – children build a robot, program it, control it, and decorate it – all without a screen, PC, tablet, or smartphone. 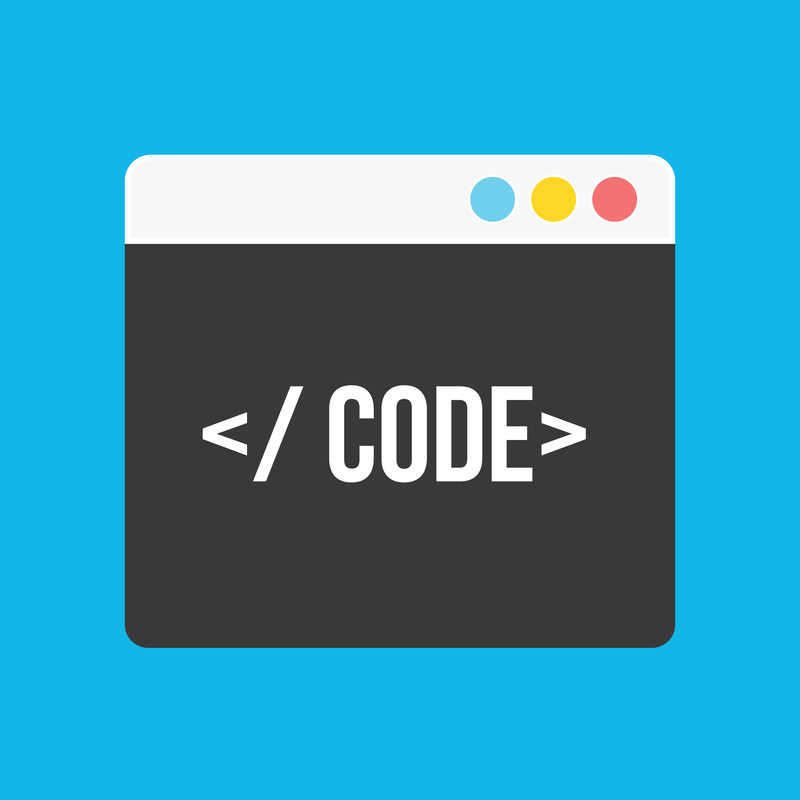 We’ve previously written about why children should learn about programming and technology and shared Marina’s TEDx presentation of why coding is analogous to literacy and part of a life skillset. To paraphrase Marina’s views on literacy: “We don’t teach young children to write so that they will all become professional journalists and novelists. We teach them to write so they can create a shopping list, draft a business plan, share a love note.” By extension, we don’t want children to learn about technology so they all grow up to be programmers or work in technology. 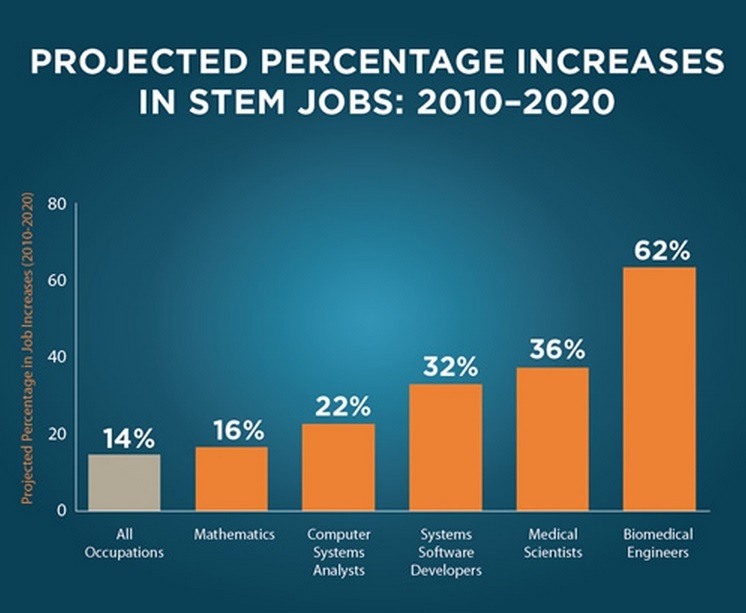 Also according to government figures, only 16 percent of American high school seniors are interested in a STEM-related career. According to the National Center for STEM Elementary Education, by fourth grade a third of children have negative interest in science. This lack of interest increases to almost half of children by eighth grade. This is why encouraging children aged four to seven to have fun, explore and feel comfortable with coding, technology and developmentally-appropriate toys is important – not just to them, but to our economy and our future. Brown Bear, Brown Bear: What Can You Code? It’s National Robotics Week and to get everybody in the spirit, we thought we’d share a fun video about how our own robot kit – KIBO – has been used in the Kennedy-Longfellow Elementary School in Cambridge MA. Sue Cusack is an assistant professor at Lesley University and has been working with Cambridge-area schools to embed learning technologies to early education classrooms. KIBO has been used in grades K-2 in a variety of different ways. What’s so beneficial about KIBO is that it is easily integrated into existing curricula – and Kennedy-Longfellow took full advantage. Click play below to see how kindergarteners brought the famous book, ‘Brown Bear, Brown Bear, What Do You See?’ to life; how first-graders recreated the lifecycles of frogs and butterflies; and how second graders learned about different ways worms move through various environments. KIBO strengthened students’ knowledge of social studies, science and language arts – and gave new valuable technical skills while having fun and working with their classmates. Here at KinderLab Robotics we work to help children gain the technological literacies of the 21st century while also developing a sense of identity, value and purpose. We want to help inform the design of digital spaces so that children can use new technologies to become better people and to make the world a better place. Too often, youth experiences with technology are framed in negative terms – cyberbullying, invasion of privacy, video game addiction, and so on. So although we feel that it is important to acknowledge these problems, we also want to encourage parents, educators and children to take an active part in describing the digital landscape that they would like to live in – and then help to shape it. The period from pre-school to high school is an extremely rich time for child development, and a time that shapes future learning, attitudes and long-term creativity. We believe that physical objects and spaces – not necessarily screens – determine positive development. The manipulation of objects should play a major role in creative exploration and motor skill development. As children grow they find increasingly limited space in which to expand their developmental needs. But in their early years it’s possible to nurture a digital landscape in which children develop as grounded individuals who truly feel that they can influence and help craft their digital landscape. Young children learn by doing. That’s why KIBO was developed from the ground up to be different. It appeals to both technically-minded kids and those that connect more to arts and culture or physical activity. At KinderLab we strive to open up a world of technological play and experimental programming to children who may not naturally lean towards fields of engineering or computer science. Children build their own robot with KIBO, program it to do what they want, and look the way they want it to. KIBO gives children the chance to make their ideas physical and tangible. With KIBO, young children can become programmers or engineers. Equally they can dream of being designers, artists, dancers, choreographers and writers. Designed for open-ended play KIBO lets children make almost anything – and aspire to be almost anything – they choose. Would you like to know more? Please sign up for our monthly newsletter or check out KIBO packages available in our online store at http://www.shop.kinderlabrobotics.com/. We recently conducted an in-person survey of parents, teachers and family members gauging their attitudes toward young children and coding. We found that almost two thirds, 65%, of those we spoke to considered it ‘incredibly important’ for young children to feel comfortable with logic and to start to learn programming. Just under a third, 31%, said it was ‘important’ for children to learn logic and programming at a young age. We couldn’t agree more. One finding that really resonated with the team here at KinderLab Robotics is that over half (54%) of the adults we spoke to said they were ‘concerned about their own ability to teach children to code. This is why we developed KIBO. It’s straightforward and accessible to both children and potentially-programming-nervous adults. With KIBO, young children ages four to seven years-old can learn to code while having fun designing and building a robot. We know – based on 15 years of child development research – that young children learn best through open-ended play. And we think adults do to! Interested in learning more about how KIBO works? Meet our friendly robot that is so simple you won’t even need to read the instructions (really): http://kinderlabrobotics.com/kibo/. KinderLab Robotics, a creator of toys and educational tools that teach four to seven year-olds to program and understand logic, conducted an in-person survey of 198 parents, teachers and family members to gauge attitudes towards young children and coding. The survey found that the majority of respondents (65%) considered it ‘incredibly important’ for young children to feel comfortable with logic and to start to learn programming. Just under a third (31%) said that it was ‘important’ for children to learn logic and programming at a young age, while only 4% said that they didn’t think it was important for children to learn to code or to learn programming-based logic at a young age. The KinderLab Robotics survey also found that the majority of respondents (54%) are concerned over their personal abilities to teach children to code. Of those that were not concerned about how to help educate children in technology and programming logic, 27% said that they worked in technology or programming. 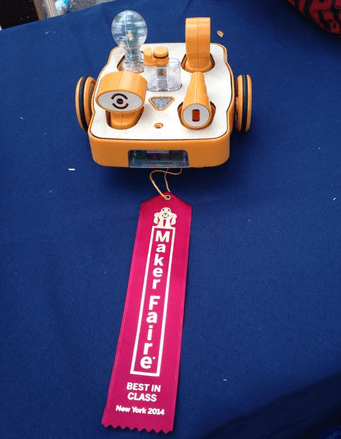 KinderLab Robotics creates toys and educational tools that enable young children to learn critical technical, problem-solving, and cognitive skills in a developmentally appropriate and playful way. While STEM education products exist for middle- and high-school students, KinderLab uniquely fills a need for a critical population: children under the age of seven. KinderLab products are based on over 15 years of academic and field research into how young children learn foundational concepts in programming and engineering, by integrating them into a multidisciplinary curriculum that includes literacy, the expressive arts and cultural studies.